We’ll need a little info first..
We Buy Houses in New Braunfels And Nearby Areas, Fair And Easy! We Are Your Local Real Estate Investors Ready To Give You An All Cash Offer! Are you simply looking to sell your house to get an all cash offer? Look no further! You came to the right place! We are experts in the real estate business who already helped a lot of people and families in this city and nearby areas. If you are also in need to get a home buyer to help you get your problem solved, we are here to help! It could be because of a very emotional divorce, or maybe because the lien is just too much to handle, whatever the reason is, we got you covered! 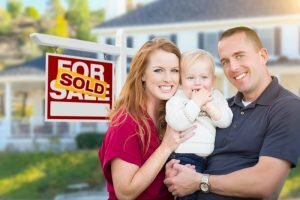 Others just have an inherited property that they want to get rid off because making tax payments on the house is just something they don’t want to do, or a job promotion somewhere else is waiting and because of that, the need to get a buyer for your home is really necessary for those types of situations. We have been in this business of buying houses for a long time that we have already mastered the easy way on how to make sure that the process is so easy you don’t even have to run the papers yourself. We know that hiring a real estate agent could also be an option for you. If you are not in a rush to sell, or if you have the funds to fix and do the repairs needed for the property, then it could be the best route for you. But more often than not, others just don’t have the time to wait for a buyer to come or the funds to make sure that the house is fixed before showing it to potential buyers. If you don’t want to play the waiting game and just want to move on, then we are the perfect solution for your problem! You can also check out our New Braunfels seller Testimonials. • We give a fair CASH offer. • Never worry about all of those paperwork, our team will take care of it for you. • What closing costs? We pay that! • Fees? Commissions? Nope! No need for you to pay such! • No repairs needed. We’ll do it for you! • We listen, because we care. • Choose when you’d like to close. If you want to sell your house fast, we can buy your house quickly too! We want to make sure that YOU ARE IN CONTROL by listening to you and hearing you out. Just remember, we are just a phone call away. We understand that your time is valuable and because of that, we want you to know that we will be glad to give you an honest offer the moment that you are ready to move forward. We buy houses throughout New Braunfels, but we don't buy every house that we evaluate. Sometimes we're simply not the best fit and that really is OK with us. But why not at least see what we can offer..
— These are just some of the perfect places you can go if you are thinking of a place to eat. — If you’re into fairs and festivals, this is the best place for you to go. New Braunfels is home to the Comal River,which is the shortest river in the world as proclaimed by its locals. If there is a need for you to sell your house fast and move somewhere else, we will make sure that it will be a very easy process for you. Call us at (210) 390-0750 and get ready to get an all cash offer today!